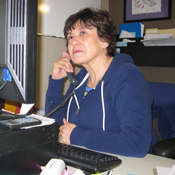 Cindy has been serving Groundwork Denver in various roles since 2010, including as a volunteer, Board, and staff member. Cindy has a background in nonprofit management, philanthropy, and has a deep passion for the environment. She earned a Masters in Business Administration from the Yale School of Management and a Masters in Environmental Management at the Yale School of Forestry & Environmental Studies. She also has a B.A. from Tufts University. In her free time, she enjoys yoga, walking, and her two cats. 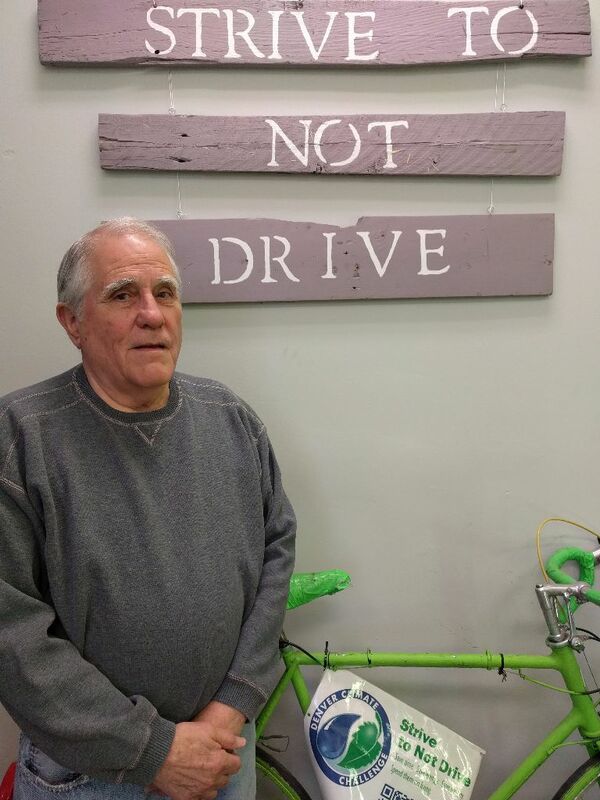 After 30 years of practicing law in the specialized areas of employment discrimination and civil rights, Paul now serves as a door-to-door canvasser for Groundwork Denver. Paul received his bachelor’s in economics from the University of Colorado in Boulder and then went on to attain a J.D. in Law from the University of Denver. After receiving his law degree, Paul worked briefly in the Denver Office of the Mexican American Legal Defense and Educational Fund before entering private practice, which he stayed for the remainder of his law career. Now, in his free time, Paul enjoys watching professional sports, following politics, reading, and creative writing. You may also find Paul watching television game shows with his wife, and fellow Groundwork Denver staff member, Pat Barron. Candice has over 18 years of experience with program design and management within the non-profit sector, both in the U.S and overseas. As program coordinator of the Sheridan Inspire Initiative, Candice is tasked with keeping the collaborative effort of the Initiative on track. Her duties include coordinating the coalition members and the Youth Advisory Coalition, overseeing subcontracts, coordination of the GOCO evaluation plan, budget management, building new partnerships, communication with the broader community, among other duties. A native of Venezuela, Candice currently resides in southwest Denver where she enjoys nature and the outdoors, ethnic cooking, dance, arts, languages, and traveling with her daughters. 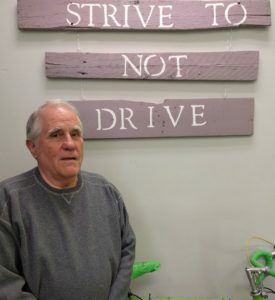 Pat is no stranger to extending a helping hand to members of the community in need of assistance. She recently retired after 36 years with the State of Colorado as a staff and administrative assistant. 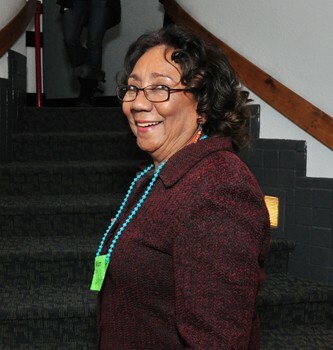 Pat primarily worked with the Office of the State Public Defender, which provides legal representation to the criminally accused who are unable to afford private legal representation. After a short-lived stint as a retiree, she realized that she had many productive years ahead of her and decided to go back into the workforce. She was faced with the choice of continuing in the field of providing legal services in the private sector or moving into the nonprofit sector, providing services in furtherance of the mission of Groundwork Denver. 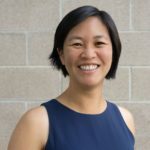 The choice was easy and thus, she became a member of the Groundwork Denver team to help our clients connect with all of the energy efficiency assistance and resources available to them. Sadot began working at Groundwork Denver in 2010 as a green teamer, often riding bikes and working in community gardens. In the summer of 2015 Sadot served as a Green Team Leader, managing a group of young people working at the Schmitt Elementary Farm. 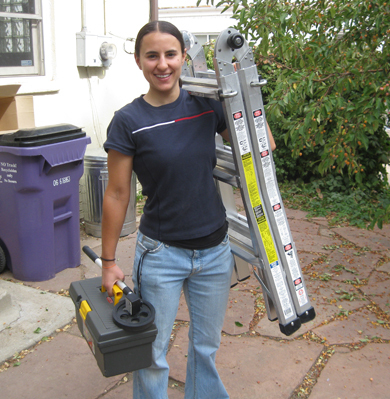 Sadot is now a member of the Groundwork Denver Energy Audit Team. 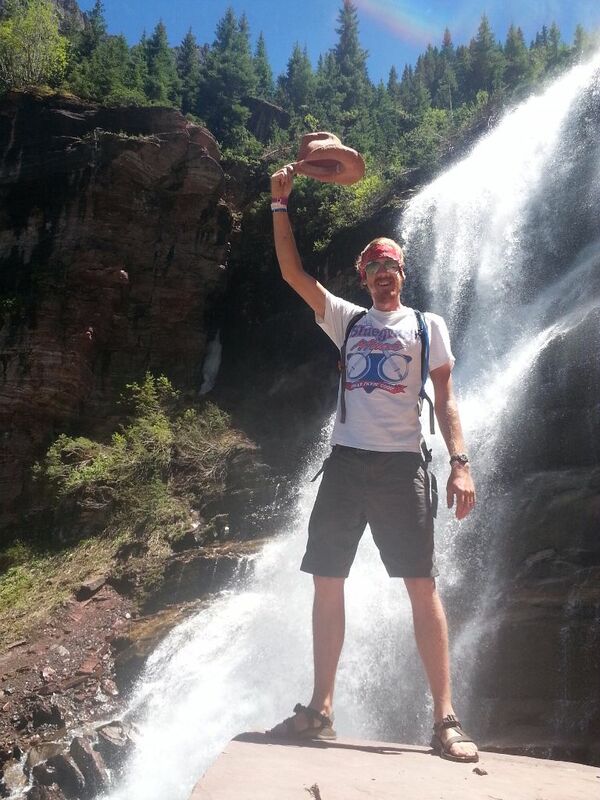 In his free time, he enjoys spending time with his wife and son in the great outdoors and recreating. He also enjoys growing as a leader, mentoring youth, and being an environmental activist. Sadot is currently pursuing a degree in engineering in hopes of building a future while keeping the planet’s health in mind. Miriam Colón has more than 20 years of experience working in social services and client relations. At Groundwork Denver she specializes in outreach and education in the Spanish-speaking community. Specifically, Miriam works as a health promoter to inform families about lead poisoning, organizes the community to plant trees and conduct other improvement projects, and educates people about how to reduce their energy bills. Miriam’s enthusiasm for helping others motivates her to continue serving the community and make families aware of beneficial resources. 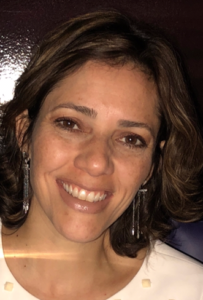 Whether she has five minutes at the door or an hour at an in-home energy audit, Miriam is sure to leave with a customer happy and ready to act on improving the environment. 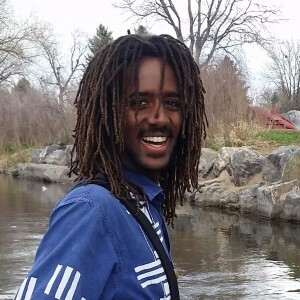 Melake Getabecha started with Groundwork Denver as a Green Team member, working for three summers building trails, planting trees, and improving Denver’s physical environment. He graduated from Middlebury College where he studied Architecture and Environmental Studies. After graduating, Melake returned to work for Groundwork Denver as a part-time technology and youth program assistant before becoming a full-time program assistant for Groundwork’s Youth, Land, and Water programs. 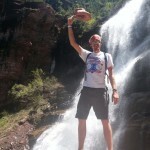 Having been born in Denver, Melake is eager to work with youth to help improve the environments in which he was raised. After obtaining a Bachelor’s degree in History from Regis University, Elysa decided to pursue her passion for the outdoors by enrolling in a year-long AmeriCorps Leadership and Conservation Program with Mile High Youth Corps in Denver. Elysa participated in extensive energy, water, and land management projects, ranging from park restoration and rehabilitation to invasive species removal, to energy audits in low-income households. A desire to help others save money while also decreasing their carbon footprint led Elysa to Groundwork Denver, where she happily accepted a position as our Energy Audit Coordinator. James has two turntables and a microphone. An avid musician, James became passionate about alternative energy after experiencing Red Rocks Community College’s renewable energy program. Known as a “jack of all trades,” James also enjoys mentoring high school students and getting them excited about energy efficiency. 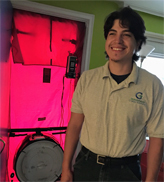 James has become a real asset to the Groundwork Denver’s energy team, even though he realizes that he was hired because he is tall enough to change light bulbs without a ladder. After completing a Bachelors in Architecture from the University of MN, Mitch began his career in nonprofit work with the Appalachia Service Project, providing emergency home repair for low-income communities throughout Central Appalachia. After moving to Denver, he served as an Americorps member with Habitat for Humanity of Metro Denver and transitioned into the role of Rehab Project Manager for the affiliate. While working with Habitat, Mitch gained knowledge and experience in energy efficient construction. His first experience with Groundwork Denver was volunteering to canvass for the energy program during MLK Day of Service. Little did he know, a few years later, his interest in energy efficiency and resource conservation would lead him to work with Groundwork as a Home Energy Specialist, providing energy audits to the community. He is excited to find and teach people ways to save energy in their homes, and money in their wallet. Andrea is passionate about her work with water and youth. Originally from California, she entered the environmental justice world fighting fracking in the California Central Valley before moving to Mexico to work with young people and integrative water solutions in the Oaxacan Valley. Now a happy Denverite, Andrea loves being able to bike to work on the South Platte and work on her beloved Bear Creek. Andrea is grateful to have the opportunity to work with youth and community to restore healthy urban waterways in the West. Emily Sepulveda comes to Groundwork Denver from Phoenix Arizona, where she worked in hydroponics, urban farming, greenhouse design, viticulture, and within the restaurant industry. 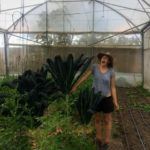 She relocated from Phoenix to southern Colorado in April of 2015 to help establish a poly-culture organic farm and associated farm to table cafe. 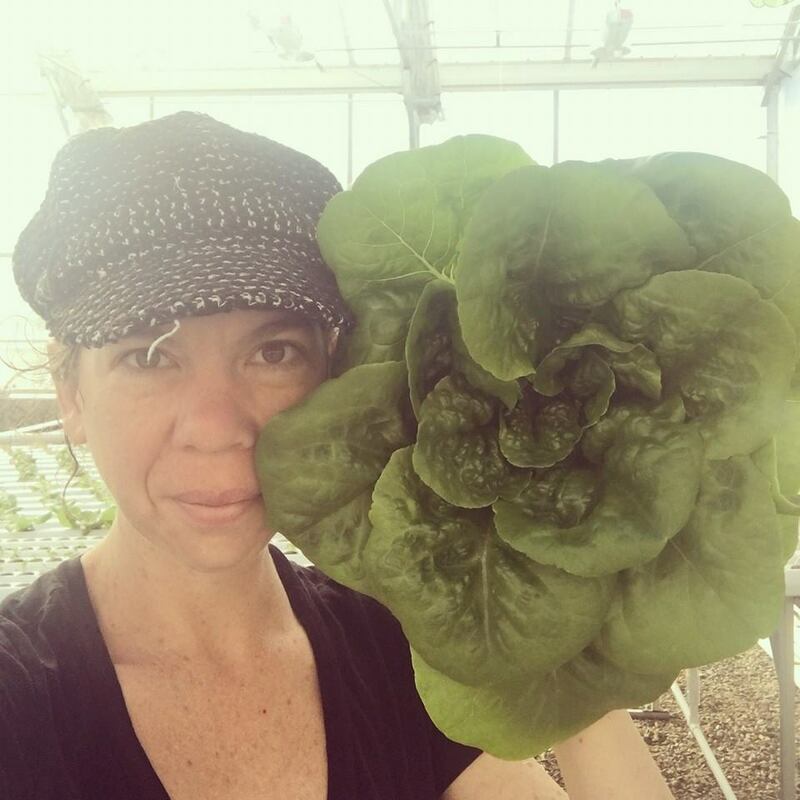 Emily moseyed up to the Denver area the following September and is thrilled to join with Groundwork Denver in bringing sustainable, local, fresh, and delicious produce to the surrounding communities. Kelly grew up and has lived most of her life in and around Denver, Colorado. She started as an Urban Servant Corps Volunteer at Rainbow Alley working with LGBTQ youth, and then was hired on as the Program Manager. Next, she headed to the Cascade Mountains of Washington State, where she served as the Staff Coordinator at Holden Village. From there, she made her way to Washington DC, where she was the National Recruiting and Placement Director for Lutheran Volunteer Corps. She then returned to Denver to pursue her Masters in Social Work, which she earned in 2012. 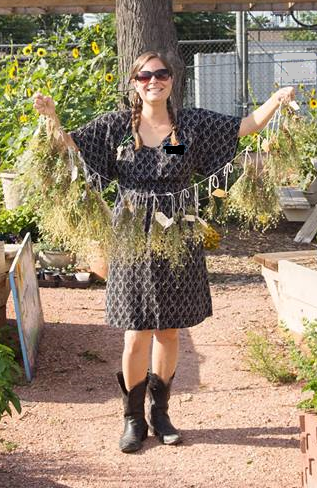 Most recently, Kelly served as the Program & Garden Director at EarthLinks for several years before joining the staff at Groundwork Denver. She is excited about Groundwork’s commitment to ensuring equal access to a clean and healthy environment for everyone as well as the inclusion of all in decision making and action within our own communities.